For the past few years, I've ordered our holiday cards from Minted. I love that they use independent artists and there are always tons of darling card options from which to choose. My favorite feature, however, is this option which allows you to see your uploaded photos in each card design. This was actually how I selected our card for the year. The photo of Sweet P by himself showed up with "merry" on top and it was instantly my favorite. The photos (like every year since Parker was born) were courtesy of my sweet sister-in-law over Thanksgiving. She uses our family DSLR (which I just read in US Weekly is the same one Duchess Kate uses! I think of that each time I pull it out now!). I played around with a couple different options but always went back to that first one that caught my eye. My CTO of a husband peeked over while I was playing with the designs, and pointed that I could drag the text boxes anywhere on the card - something in years of making these cards I had never realized! 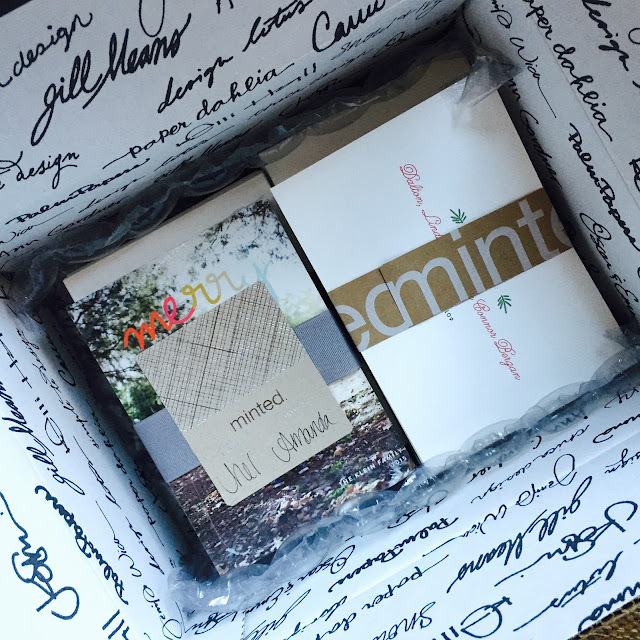 Minted's online address book actually saved me last year since we were in the middle of our cross-country move during card time and I didn't have access to my addresses. All my addresses were already stored in my account from years past, so all I had to do was click to add them. 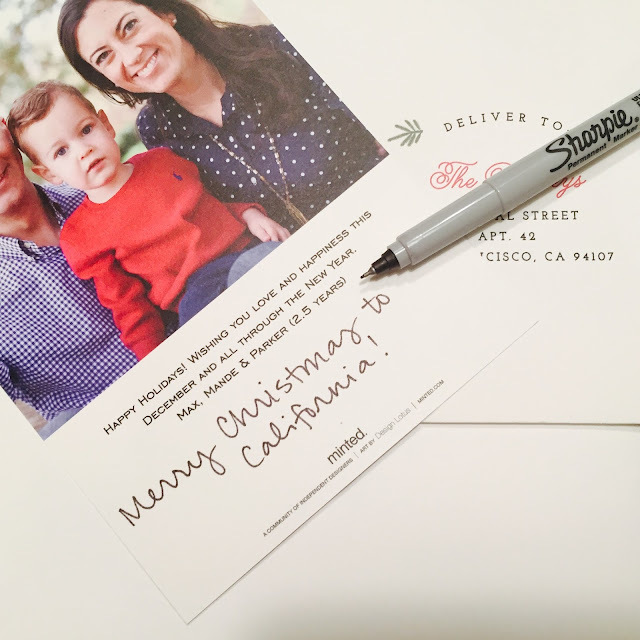 I also opted to use their complimentary envelope addressing last year and I loved it. 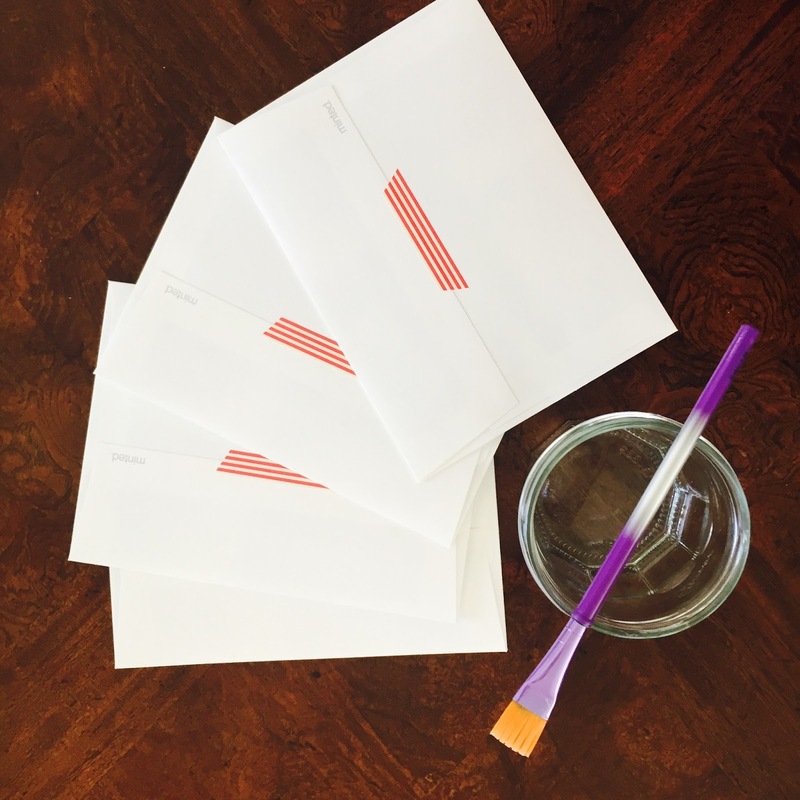 I'm usually a fan of hand-addressing - it's more personal, and I actually like to do it (being therapeutic and what not). But looking at our busy month and my even busier two-year-old, I chose to have our addresses printed again (and thus have more time free for Christmas cookie baking and other holiday fun). Also, I have to admit, the printed addresses are gorgeous. There are tons of options for the design. I almost went with the candy cane example above, but in the end went with the "Deliver To" with greenery and red script. The envelopes looked so festive! Having the addresses printed also gave me a bit of time to handwrite a few notes on some of the cards. As for the back, I always use a paintbrush dipped in a bit of water to moisten and seal the flap (because Susan on Seinfeld y'all). And, for the past few years I've participated in the washi-tape trend to add some flair to the back - love! 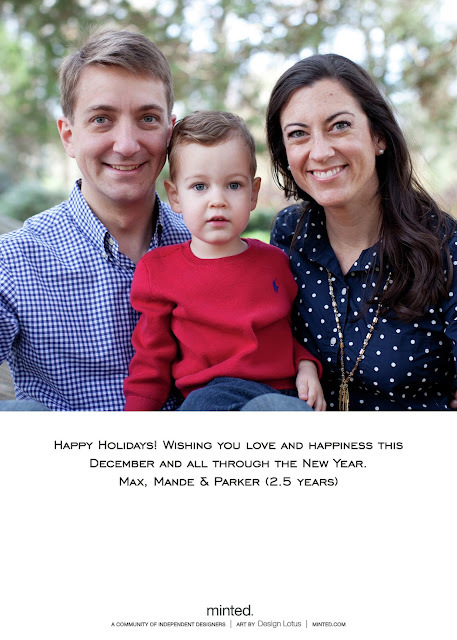 Our cards were sent courtesy of Minted, but all thoughts and opinions are 100% my own! I've never ordered from Minted, but I LOVE their designs. Your card looks great! 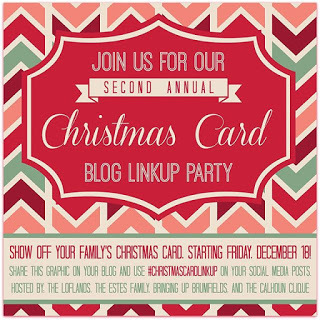 Thanks for joining our linkup, Mande! 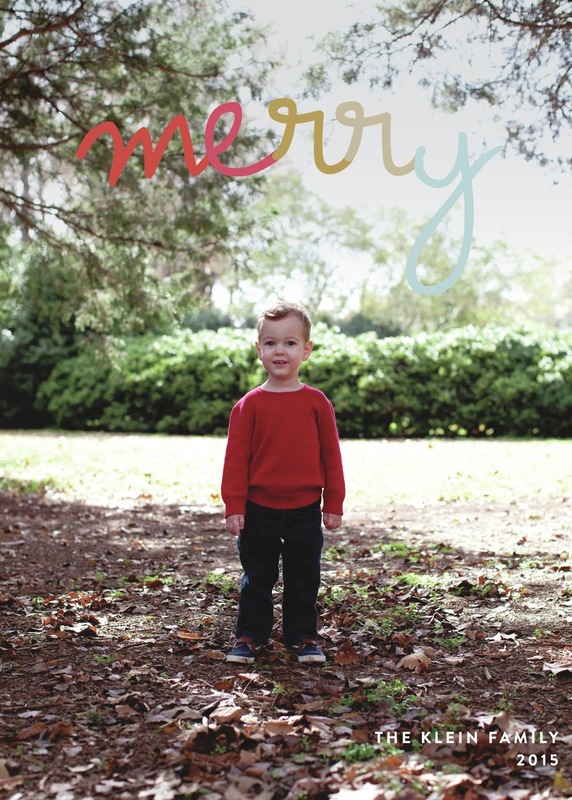 What a handsome little guy you've got there on your Christmas card! I had no idea Minted had so many cool features -- I will have to keep that in mind next year! 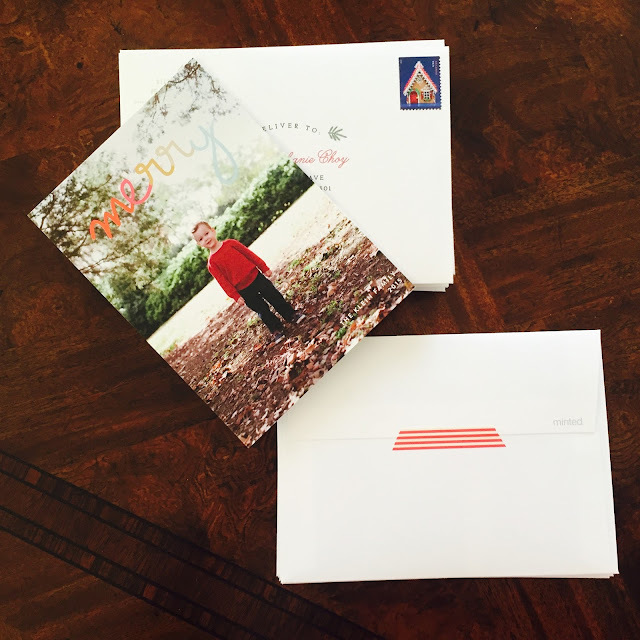 I did not know that Minted allowed you see your picture in all the card designs - I love that! Thanks for that information and thanks for joining our linkup!